Are you ready to find dream property? We would like to help. 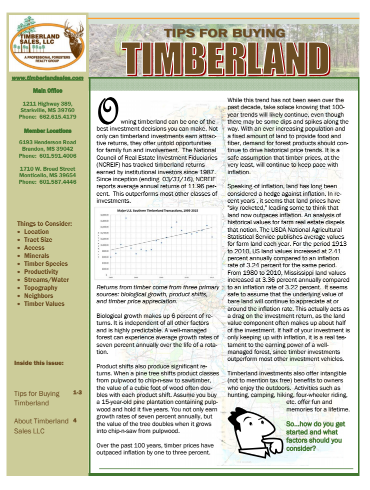 Our free brochure “Tips for Buying Timberland” includes some of the most important factors that one needs to consider when purchasing land. Just fill in your information to view the brochure and one of our Forester/Brokers will contact you to see if we may be able to assist.. Looking to buy a Land? Tell us what you’re looking for! Get the latest listings delivered straight to your inbox.